Her voice was discovered by the author Julius Rosen in 1891 at Görz. She studied singing under Rose Papier-Paumgartner at Vienna. 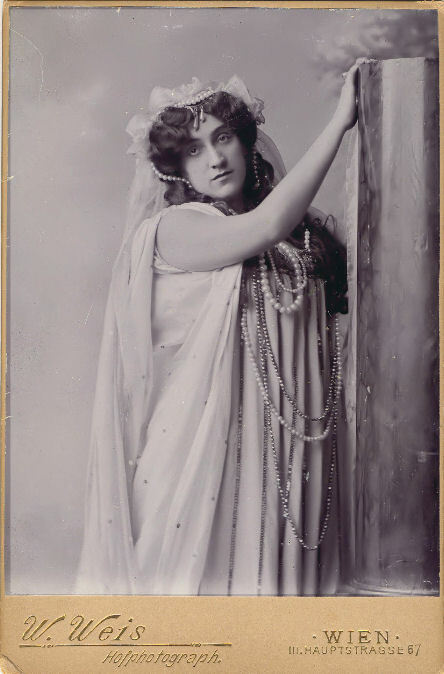 Already during her education the manager of the Hamburg Opera Bernhard Pollini became attentive and engaged her for appearances in his theater, where she made her debut in 1895 as Brünnhilde in Richard Wagner’s ‘’Walküre’’ under Gustav Mahler. She followed the composer to the Wiener Hofoper (1898). In 1909 she married the author Hermann Bahr (1863-1934). Till 1916 she remained a famed member of the Wiener Hofoper, where she appeared again in the 1919-1920 season and guested there till 1930. Her repertoire included Donna Anna in ‘’Don Giovanni’’, Leonore in ‘’Fidelio’’, Rezia in ‘’Oberon’’ of Weber, Senta in ‘’Fliegenden Holländer’’, Venus in ‘’Tannhäuser’’, Norma, Aida and Salome of R. Strauss. In 1901 she sang in Munich in the premiere of ‘’Das klagende Lied’’ by Gustav Mahler. In 1921 she became a professor of the Academy of the music in Munich. In the 1921-1926 seasons she was a stage manager of the Municipal Theater of Augsburg, where she often directed. In 1931 she sang for the last time part of Klytämnestra at the Opera Festival in Augsburg. In 1923 and 1925 she sang at the festival of Salzburg as an actress in Calderón’s ‘’Welttheater’’. 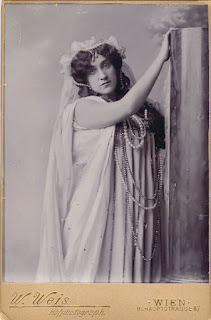 She was one of the greatest dramatic interpreters of the parts in Richard Wagner’s operas. As an internationally highly respected pedagogue she trained such a significant singers like Elisabeth Schärtel, Maria Nezadal, Eugenia Zareska, Ruth Michaelis, Ira Malaniuk, Adolf Vogel, Josef Greindl and famous tenor Lauritz Melchior.